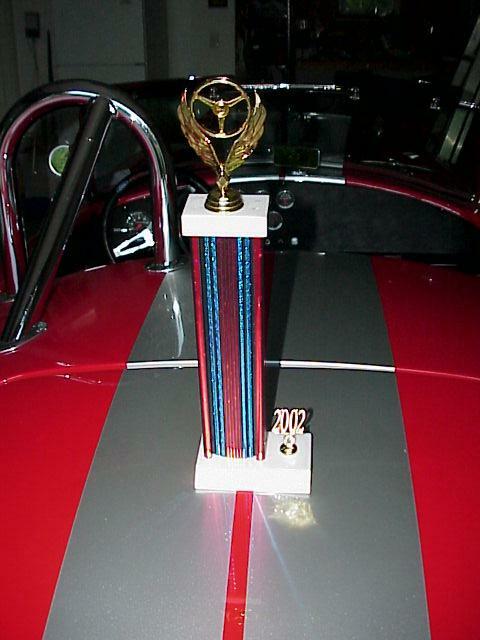 July 6, 2002 - Best of Show! 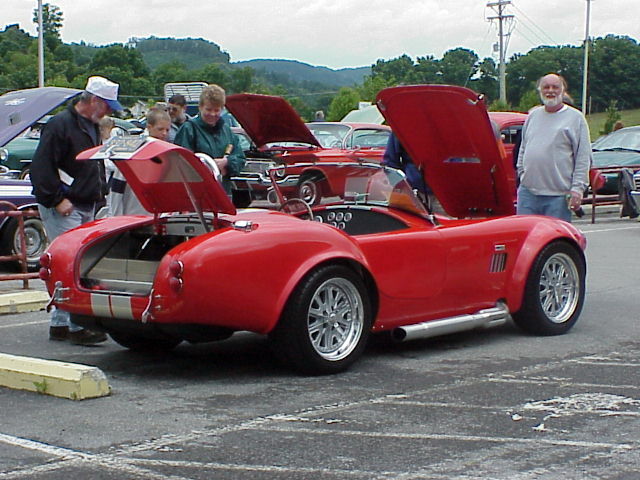 FFR #2084K was awarded the trophy for best of show at the "CAR SHOW & PATIO PARTY" held at the Ramada Inn in Morgantown, WV. 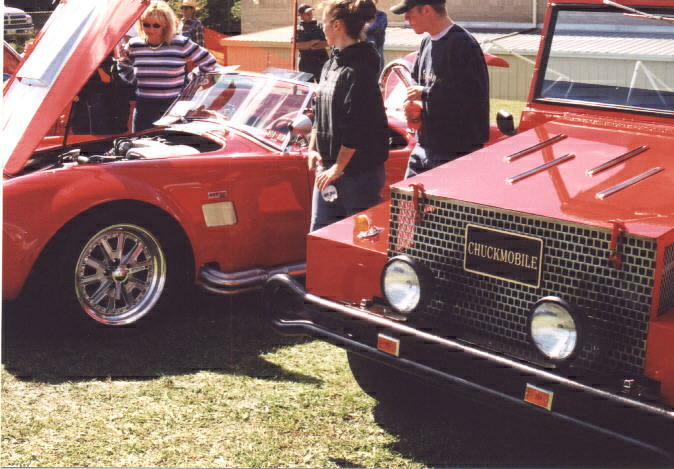 Approximately 50 cars were in the show. 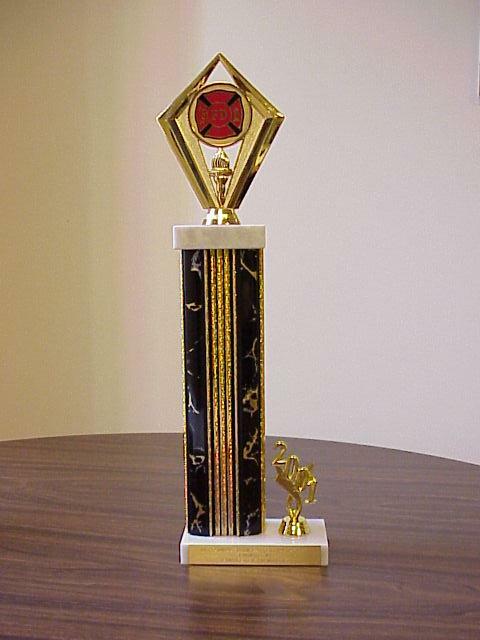 Unfortunately I didn't get any pictures of the show; but here's a pic of the trophy! 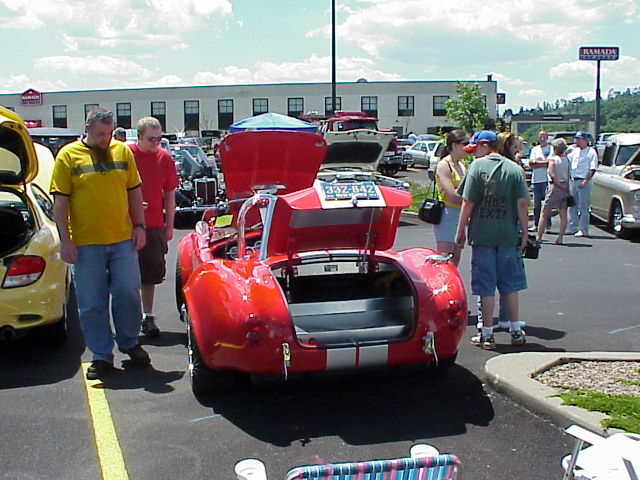 April, 2002 - Dyno Tune Motorsports from Columbus, OH came to Fairmont and set up the dyno. 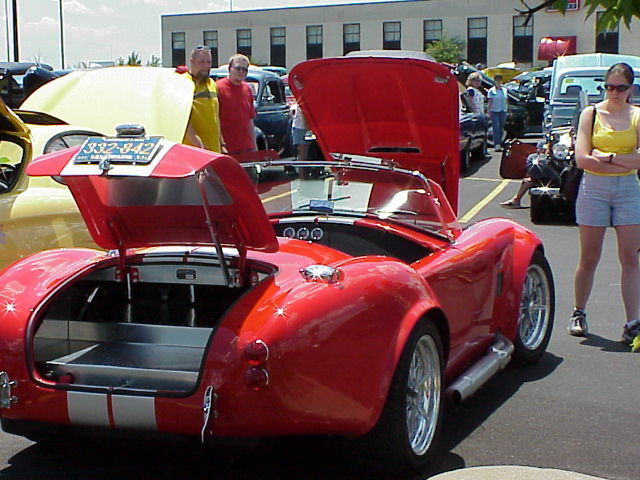 FFR #2084K pulled 211 rear wheel horsepower and 275 foot pounds of torque. 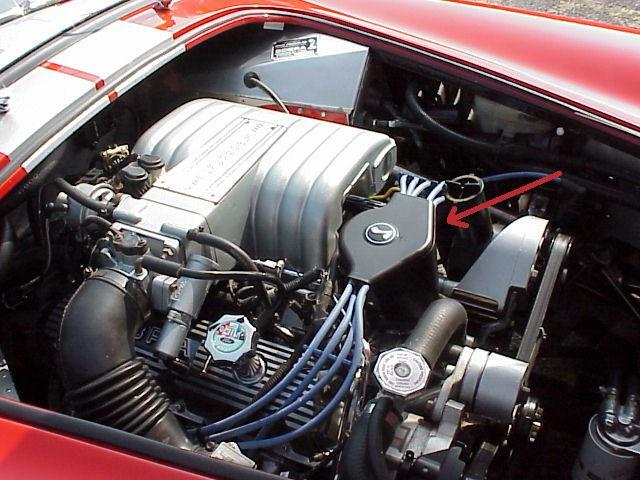 Not too shabby for a car with a mostly stock engine. 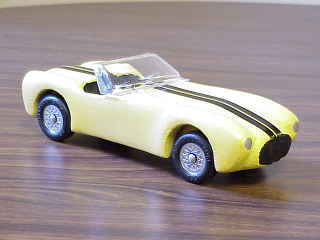 To see more pics and a couple of short videos, CLICK HERE. 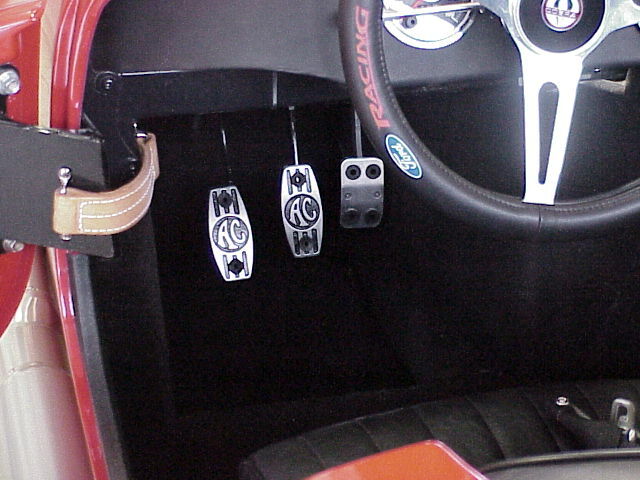 December, 2001 - Merry Christmas to me!! 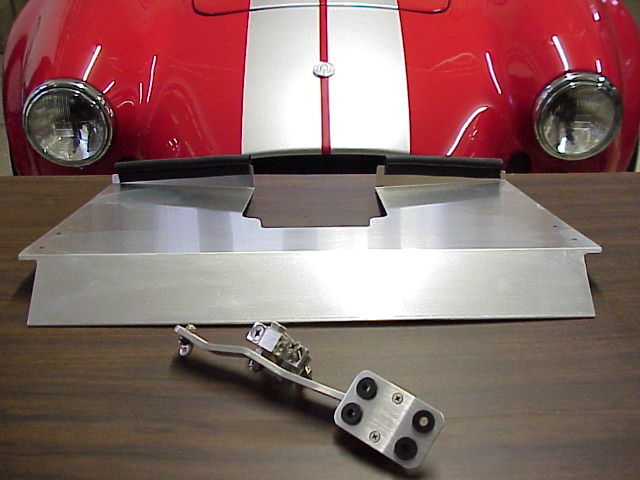 My wife, Jill, emailed Russ Thompson and ordered one of his cool custom FFR throttle pedals and one of his aluminum shroud covers! Sons Benn and Dave gave me a leather steering wheel cover too! July 23, 2001 - Happy Birthday to me! 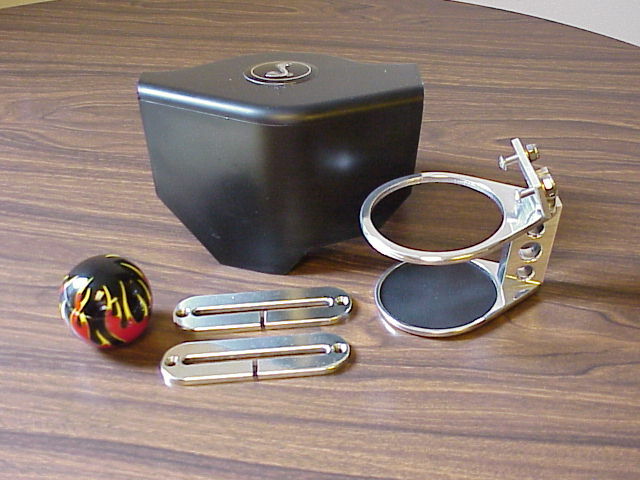 Cobra-related birthday presents include custom-made fold-away billet aluminum cup holder, seatbelt harness trim rings, flaming shift knob, and a 'Cobra' distributor cover. Thanks very much to Jill & the boys, Rhoda, and Guy! 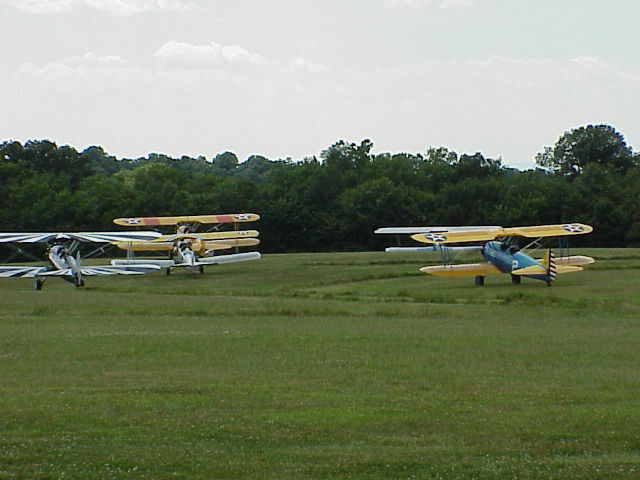 July 15, 2001 - The Flying Circus, located in Bealton, VA sponsored several 'theme' days during the summer. 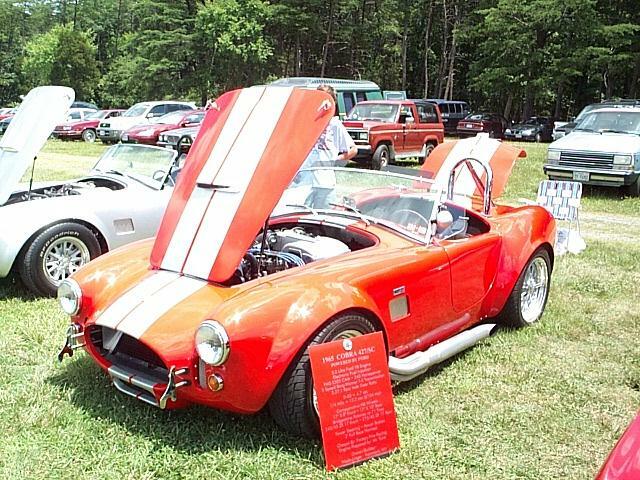 Several Cobra enthusiasts, including me, participated in their 'Hot Rod' day. We had a great time with the Cobras, the hot rods, and enjoyed the first class air show by the The Flying Circus! 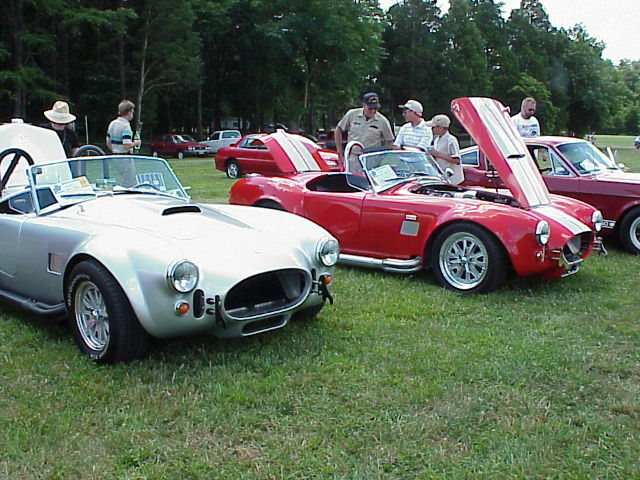 June 23 & 24, 2001 - This weekend was dedicated to the Double Venom Spring Fling Cobra gathering in Columbus, OH. 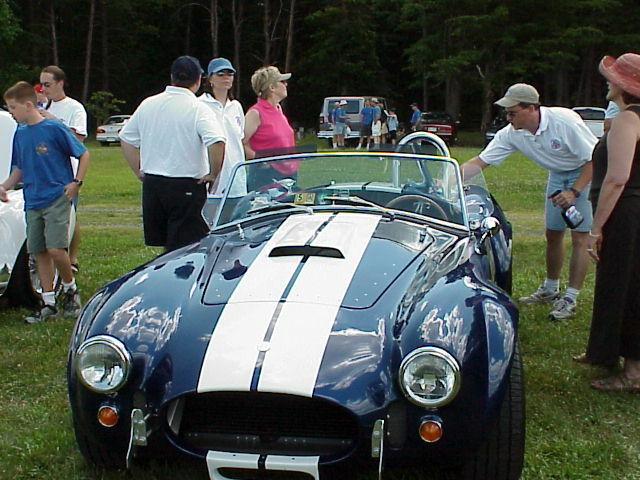 I drove Wade's Cobra to the event, with Jill and the boys following in the minivan chase car. 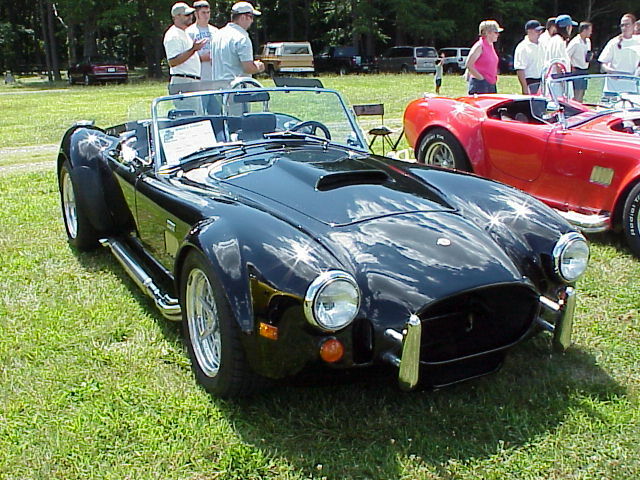 It was a great event, and the Cobra performed flawlessly on its first long trip. 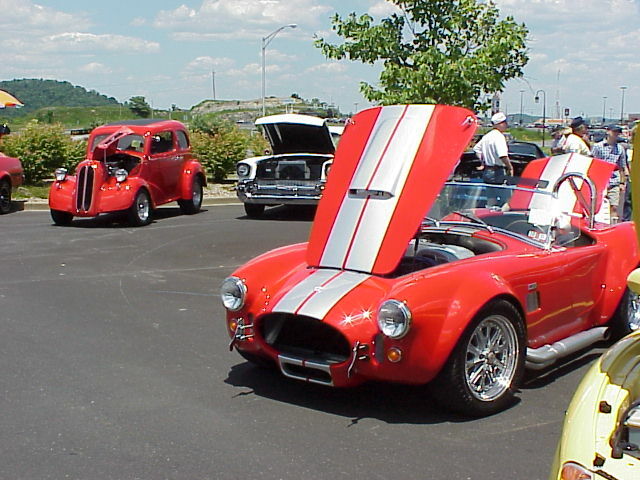 To see several pictures of the Spring Fling, CLICK Pictures. To view a short video, CLICK Video. 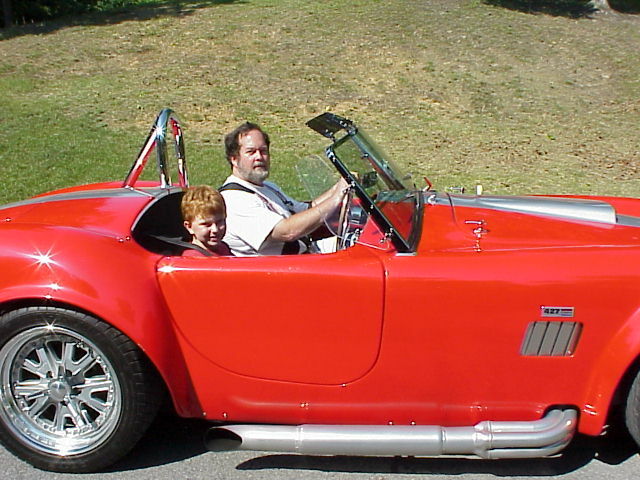 June 19, 2001 - Andrew got his first Cobra ride! 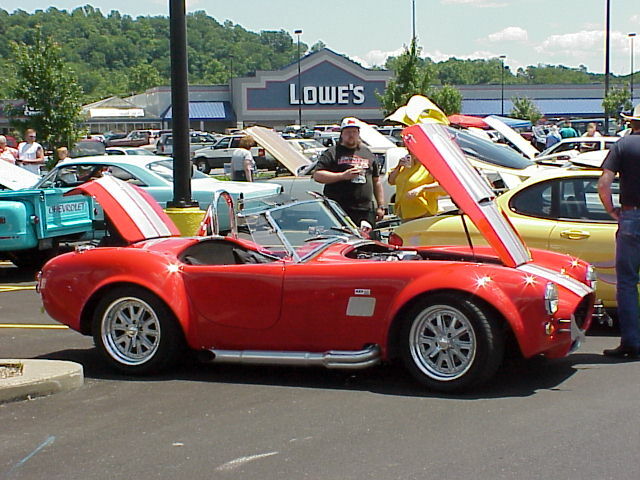 June 2nd & 9th, 2001 - I took Wade's Cobra to car shows in Morgantown, WV and Clarksburg, WV. The Clarksburg show yielded FFR #2084K's first trophy! 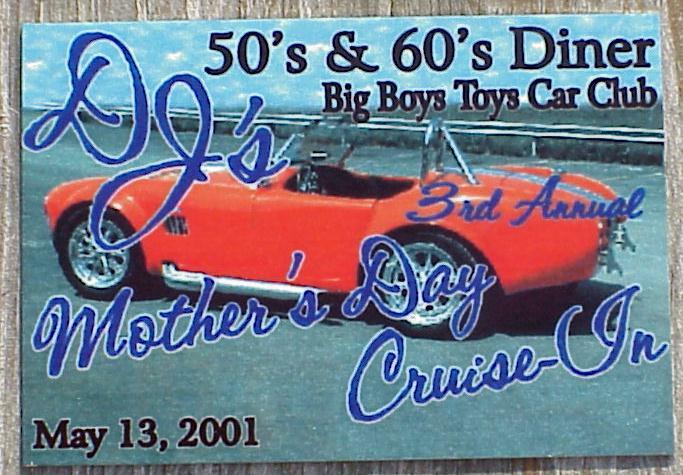 May 13, 2001 - A local 50's style diner sponsored a Mother's Day cruise-in, and Wade's Cobra was featured on the dash plaques! 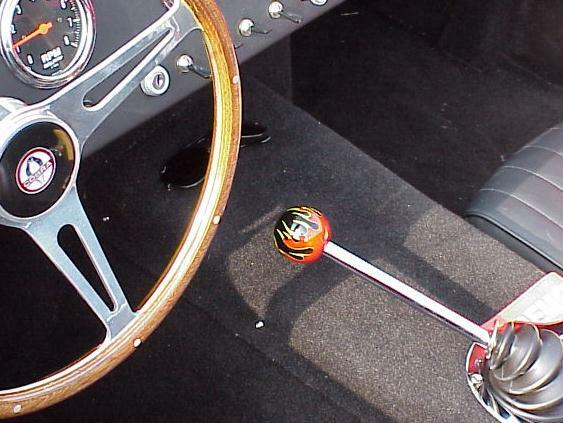 April 27, 2001 - Check that Fuel Level gauge! "E" means empty! 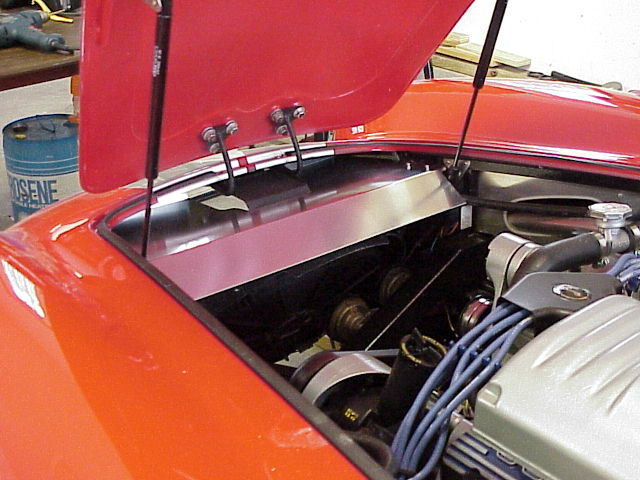 Nick Fantasia, mayor of Fairmont, WV, wanted to compare the performance of FFR #2084K with that of his restored '67 427 Corvette. 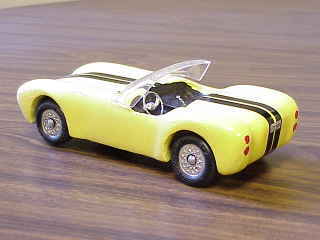 The Cobra would have performed much better if I had made sure that there was gasoline in the tank! After being rescued by my wife, Jill, Nick got his chance to drive and compare. 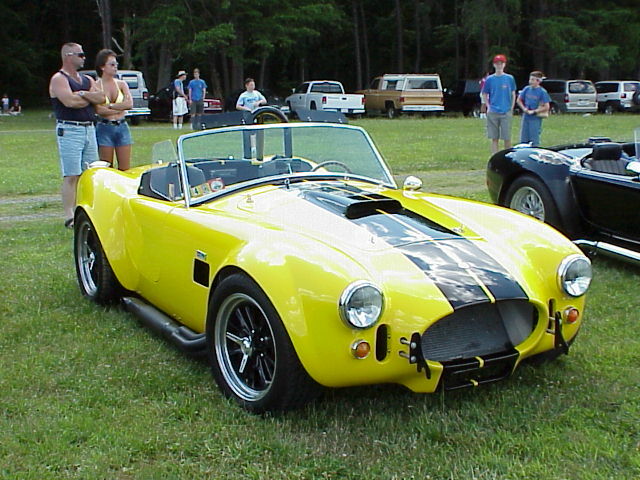 He says the Cobra pulls very strong, and accelerates similar to his big block Vette. 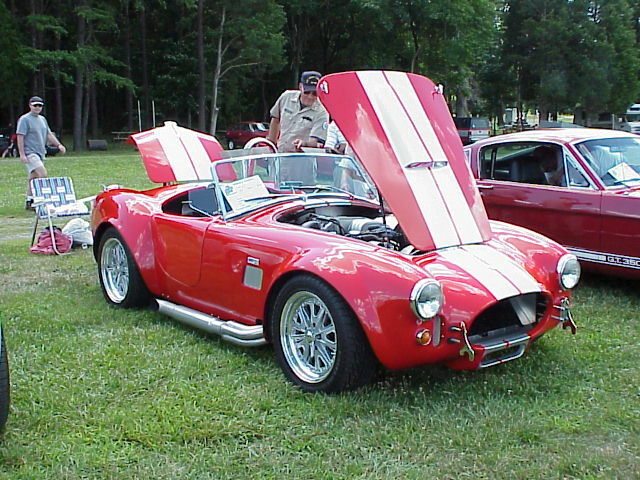 April 6, 2001 - Wade's Cobra poses with Rob Linger's Mustang. 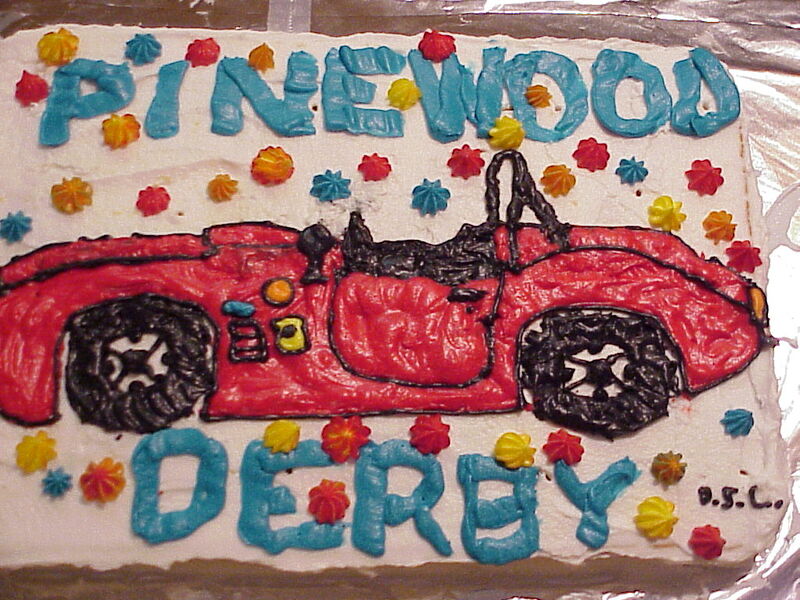 March 30, 2001 - Davey makes Cobra cake for Cub Scout cake contest. 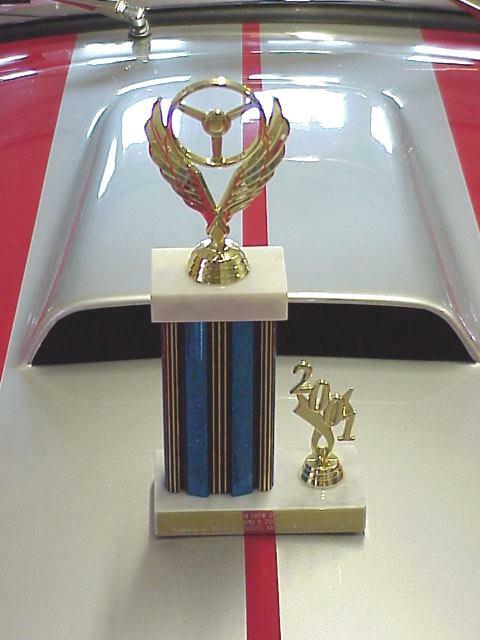 February 20, 2001 - Its Pinewood Derby time! Ever seen a pine Cobra? October 27, 2000 - After a four-day marathon building session, FFR #2084K was completed (enough) to make it to the Fairmont 'Bridge Day' rededication of the high level bridge that was originally built in the 1920's. It was my honor to have Mr. Charlie Reese, head of the local Chamber of Commerce and school board member, as my passenger during the festivities. Steve Shaffer was also there with his FFR #1825K. 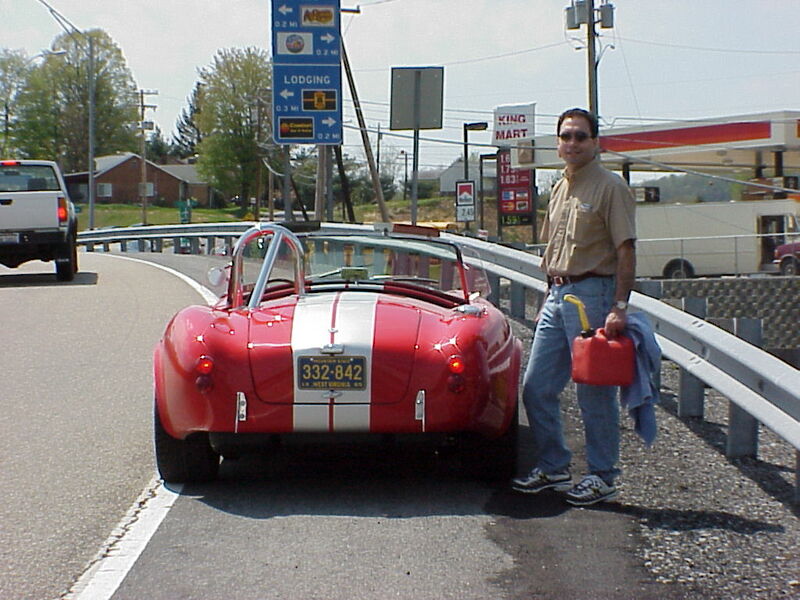 His passenger was Mike Caputo, one of our local State Delegates. 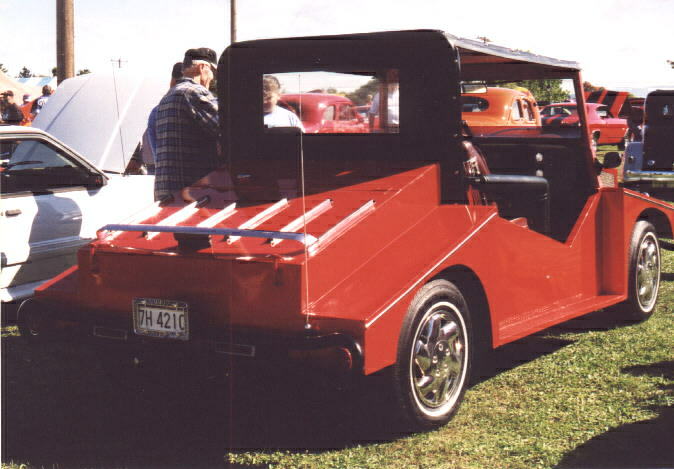 September 6, 2000 - Here's a picture of my wife Jill, and her mother Betty during an early test run. August ?, 2000 - Wade and his Mom go for a go-kart ride! 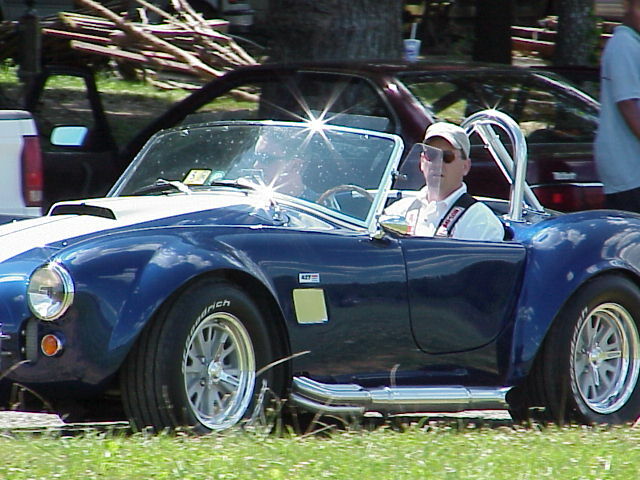 May 7, 2000 - Scott Williamson drove all the way from Virginia Beach to spend the weekend helping me get the Cobra onto all four wheels!